While being on LinkedIn is a must for networking purposes, having a personal career website is the only way for you to be in control and of your executive digital brand and the content you create. No-one knows where LinkedIn will be in five to ten years from now and you don’t own any of the content you create. In a sense, you’re building your brand on a rented lot if your digital home is your LinkedIn profile. That’s why my best advice for you as an executive is to grab your personal domain and build your brand on a platform you own and control. Both you and your company can benefit from your executive brand. Here are 3 tips to skyrocket your executive brand. Setting up a career website and blogging on industry topics will help you multiply the number of people you’ll reach with your message. You will have a dedicated place to attract people that have an interest in your industry. Share your content on relevant platforms, like LinkedIn. If you link to your blog posts from your LinkedIn profile, you’ll add some great visuals to your profile which will make your profile stand out even more. Whenever you publish a blog post, you are feeding search engines with content others will be able to find. So every piece of content you create will be like opening a door, inviting people to walk through and to get to know you and what you’re passionate about professionally. Writing a blog post about what you do, events you’ve attended or what goes on in your industry once a month will provide 12 avenues for opportunities. If you write a biweekly piece or one every week, then you’ll just to make it easier for other professionals to find and connect with you. If your content is optimized properly, you can make Google your personal promoter for the content you create. Publishing content on a regular basis will help you become top of mind, especially if you offer readers a way to get notified when you publish new content by having an opt-in form on your career blog. 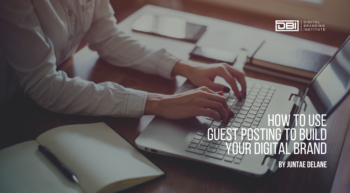 Showing up in people’s inboxes with valuable content will help you achieve “know, like, and trust” status with your visitors and strengthen your authority within your industry. When you start sharing your thoughts and opinions on what goes on in your industry, you will naturally strengthen your position and build authority within field your. If you provide valuable insight, other professionals will begin to look to you for inspiration; you’ll become a go-to person, and it will help drive business to your company. Using this strategy will help you build a sound professional knowledge-base, that will help you become a thought leader in your industry over time. 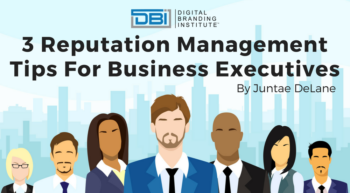 Let me know what you think in the comments and what your next step will be to enhance your executive digital brand. Through his Scandinavian humility and American confidence, Career Branding Specialist Niels Reib helps professionals attract better career opportunities, so they can unleash their full potential doing what they love, with less stress and more to give to the most important people around them.